Sunburst awnings, manufactured in Australian and built to last. Off the shelf sizes range from 6’ to 25’, you can even have your new Sunburst awning made to measure. Prices do not include hardware. 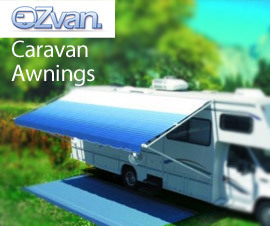 Select your awning size and colour from the drop down boxes. Please select your awning size and colour from the dropdown boxes. 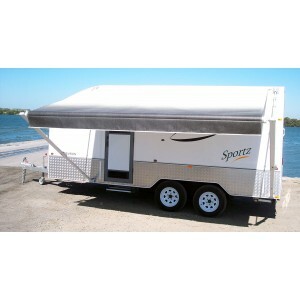 Aussie Traveller Sunburst Awning framesets one designed to suit your application. Please select your frameset from the dropdown box. 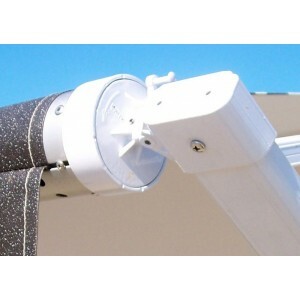 The Thule Omnistor side mounted awning is lightweight, compact, easy to use and a breeze to install. Only available in Alaska Grey. 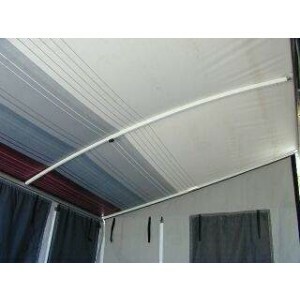 The curved roof rafter is designed to fit all roll out awnings. Constructed from lightweight powder coated aluminium the rafter has been developed and built to last. 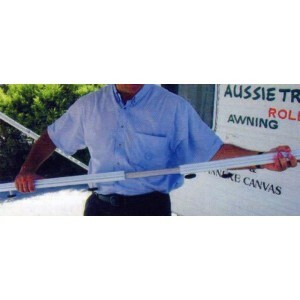 The Anti Flap Kit or AFK has been developed to fit all roll out awnings. 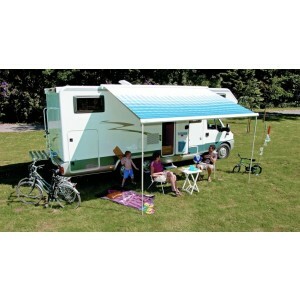 Constructed from lightweight powder coated aluminium, when installed the AFK’s prevent the awning from flapping they also have provision for awning walls to be attached to them.